U-DREAM Scholarships were awarded to 31 students from six Utah colleges and universities on December 14, 2017. Congratulations to these outstanding students! 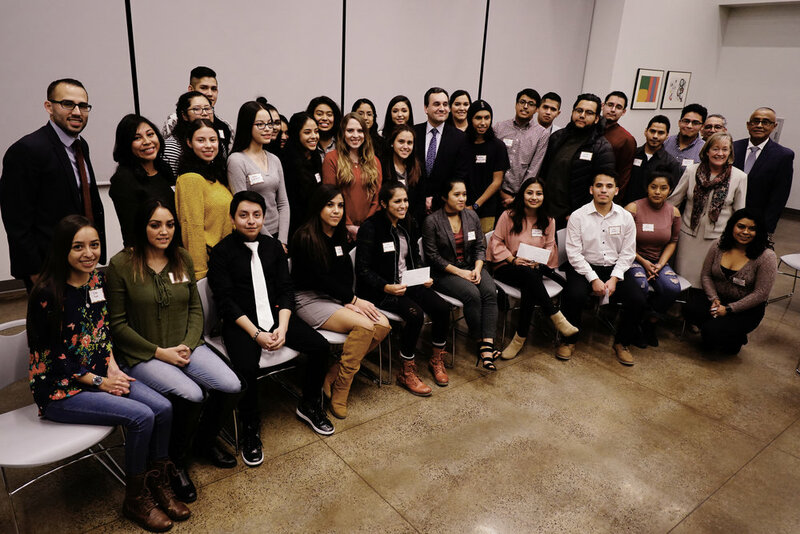 Since December 2012 we have awarded over 140 scholarships to outstanding undocumented students from the University of Utah, Weber State University, Utah Valley University, Salt Lake Community College, Southern Utah University, Snow College, LDS Business College and the SJ Quinney College of Law. Open educational opportunities for Utah students, or students adversely impacted by current educational and immigration policies, who exhibit educational excellence, commitment to social justice, and are actively engaged in their community. Support students and under-served populations by providing information about post-secondary educational opportunities, motivate them to pursue a post-secondary degree, and provide mentoring to increase graduation rates. Promote a climate that values racial and ethnic diversity and appreciates the contributions that communities and students make to Utah. To fulfill these goals, and support the Governor’s goal that 66% of Utah adults obtain a college degree or post-secondary certificate by 2020, U-DREAM seeks scholarship donations for Utah’s students. We believe some of Utah’s brightest and most capable students are denied educational opportunities because of state and federal immigration policies. This is deeply disappointing for students, but it also impoverishes our communities and limits economic growth in the state. U-DREAM wants to help by providing financial support to high-achieving Utah students enrolled or planning to enroll in a post-secondary degree program. For information about other scholarship opportunities, please see the Resources page. As a convenience to you, there are multiple options.